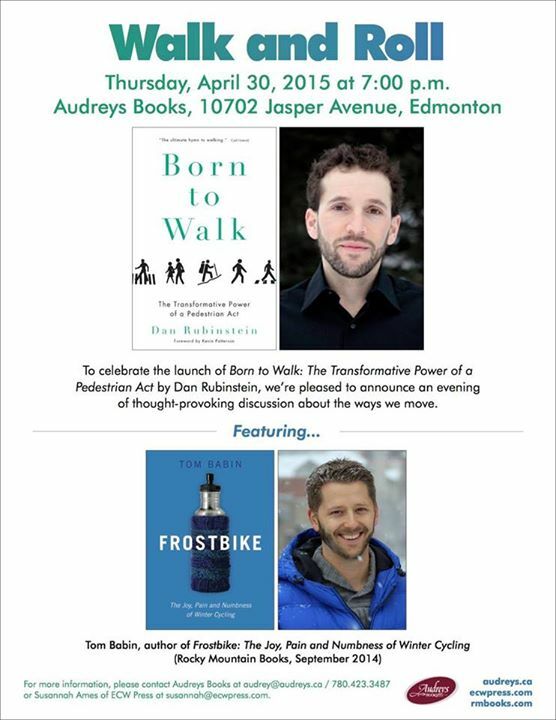 The Born to Walk travelling roadshow heads to Alberta next week for events in Canmore, Calgary and Edmonton on April 28, 29 and 30. 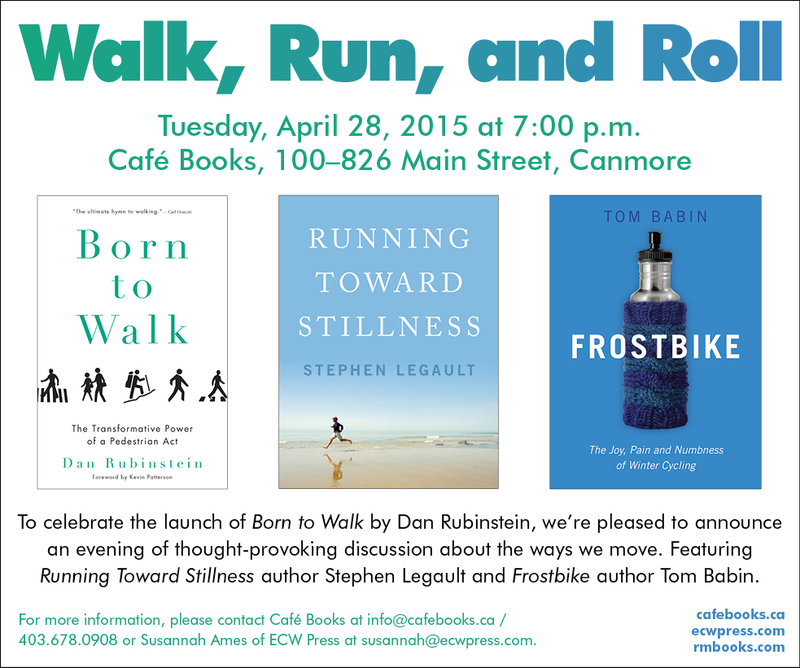 The full scoop is below, but I’m thrilled to be joining Tom Babin, the author of Frostbike, and Stephen Legault, who wrote Running Toward Stillness, to talk about the commonalities and differences across the various ways we move. I’m also thrilled to be returning to Alberta. I lived in Edmonton for 10 years and, in many ways, it’s where a lot of the ideas that wound up in the book were born. April 22, 2015 in books, travel.